You know, I don't know why I thought I would be recovered enough from my vacation to handle a Tuesday. So while I'm nursing a sunburn + dealing with a book hangover (you know the feeling after you finish a good book? you're like bummed it's over + not ready to move on to a new one? that's me.) I'll be sharing that book this weeeeeek! Plus a zillion sunset pictures. Plus a lot of other fun things. 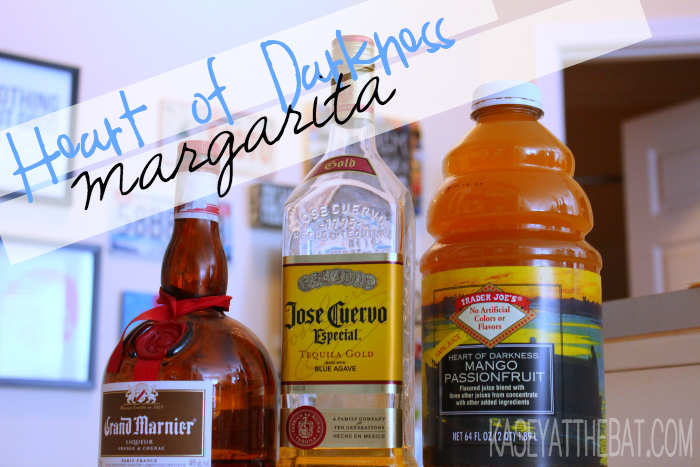 but I COULDN'T miss Cinco, where else would you get a margarita recipe?! we're giving away these adorable Kate Spade desk accessories! SO, when I stopped at TJ's for the wine for last week's sangria, I thought "oh, I can totally grab margarita mix here!" I was wrong. Then I saw that this mango passionfruit juice was called "heart of darkness" so I was pretty sold. Anyways, this is about as easy as my tequila sunrise. I have to be honest, I didn't think that this was going to be as delicious as it was so this is the only picture I took. Hashtag bad blogger. Anyways. It's easy! Fill your glass with ice, pour in your desired amount of tequila, fill the rest up with heart of darkness mango passionfruit juice (no sugar! real juice! it's good for you, duh!) mix it in one of your many stadium cups on hand, splash of grand marnier (let's be honest, I only have that at my bar because my dad needed room in his bar + had a full bottle. so any orange liqueur is perfect, I know you have it because you're making my regular margaritas.) Mix a little more + enjoy! Okay, now that you're enjoying your tasty margarita, it's time to start entering to win these adorable accessories for your desk!